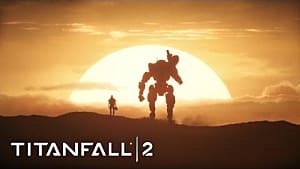 Ronin is a close-range Titan in Titanfall 2 with good damage, very high mobility and low health. 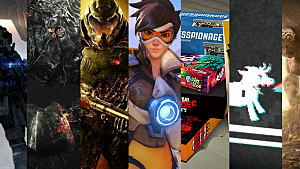 He has a Leadwall shotgun that has a wide projectile spread, a sword, and Phase Dash to escape danger. 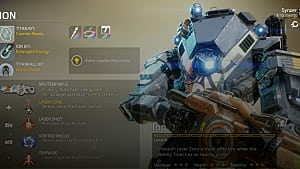 I'm going to go over everything that the Ronin Titan has to offer and give some tips on what to use. 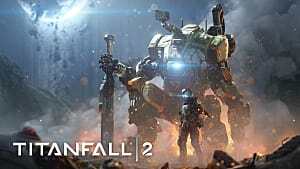 Check out my Multiplayer guide for general Titanfall 2 help. Ronin Basics - The weapon and abilities of Ronin. Titan Kit - The general kit abilities. Ronin Kit - The kit abilities that are unique to Ronin. 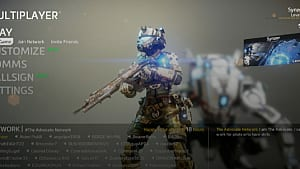 Titanfall Kit - The kit abilities for calling in your Titan. Leadwall - Projectile shotgun with a wide spread. Also, Ronin's melee attacks use his sword. Arc Wave - Creates a ranged shock wave that slows and damages enemies. Sword Block - Uses the sword to reduce damage from incoming fire. Phase Dash - Quick, directional phase shift. 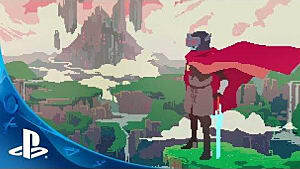 Sword Core - Electrifies broadsword, empowering attacks and Sword Block. Arc Wave is great for slowing enemies so you can get in close, or make an escape. 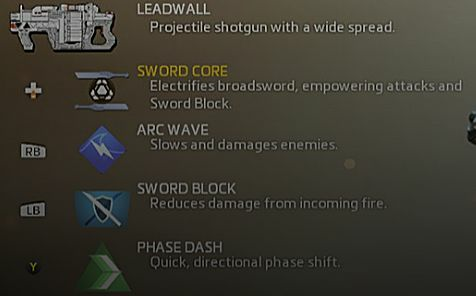 Sword Block can make up for Ronin's low health by severely reducing the dame you take from projectiles. It is even better if used during Sword Core. Phase Dash lets you move quickly and disappear for a moment. This is a fantastic tool for either escaping danger, or getting behind an enemy Titan. The Sword Core deals a lot of melee damage and great for quickly taking out enemy Titans. It also gives a huge boost to your survival by empowering Sword Block. Assault Chip - Improves Auto-Titan precision and enables the use of offensive and utility abilities. Stealth Auto-Eject - Automatically ejects and cloaks when your Titan is doomed, preventing Pilot death. Turbo Engine - Grants 1 extra dash. Overcore - Titan starts with 20% core build time. 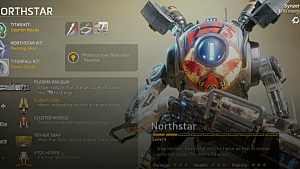 Nuclear Ejection - Ejecting while doomed causes your Titan to detonate its core, causing massive damage to nearby enemies. Counter Ready - Grants 1 extra Electric Smoke countermeasure. My favorite thing to use is Turbo Engine. Ronin's strength is close-range attacks, so the extra dash really helps. Nuclear Ejection is also notable, because you should always be in melee range. This means you are more likely to hit people with the explosion. Stealth Auto-Eject can also be useful since you will be close to danger when your Titan gets doomed. Stealth and ejecting immediately can save your pilot from sudden death. It is not a good idea in Last titan Standing if you are the last one alive. Ricochet Rounds - The Leadwall's rounds bounce off surfaces. Thunderstorm - Arc Wave has 2 charges. Temporal Anomaly - Phase Dash becomes available more often (shorter cooldown). Highlander (aka There Can Be Only One) - Titan kills extend the duration of Sword core. Thunderstorm is good for slowing titans more often, or multiple Titans. Temporal anomaly is good for survival, or flanking, by allowing you to use Phase Dash more often. Highlander is a great choice for Last Titan Standing, or when there are multiple Titans up. However, this is only good if you can survive taking on multiple Titans. Dome Shield - Protects your Titan after Titanfall. 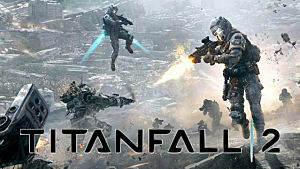 Warpfall - Fast and unprotected Titanfall. This comes down to whether or not you are going to be near your Titan during Titanfall. The shield is good if you won't be near so it can be protected while you get to it. Warpfall is good for when you spawn as Titan, or are near the spot you call it in. It is also good for destroying other Titans by calling it in on top of them. 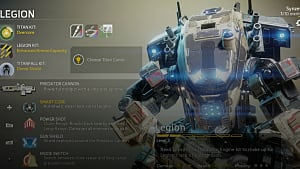 That's it for my guide on Ronin in Titanfall 2. Let me know if you have any questions!